The Government has decided to ban the sale and possession of magic mushrooms. Up until this afternoon it had been legal to sell the psycho-active mushrooms as long as they had not been dried or processed. The ban is to be effective immediately and it is understood that some of the 50 shops across Ireland which had been selling the mushrooms have now begun removing them from their shelves. 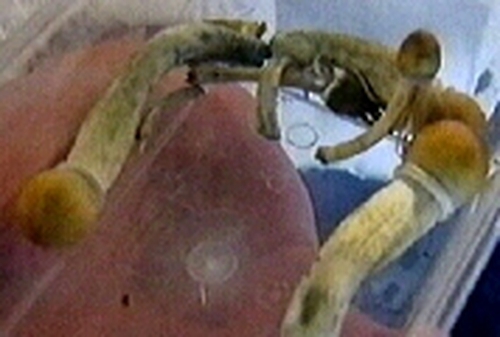 Magic mushrooms are a controversial product. They have a hallucinogenic effect and those who sell and take them say it is safe to do so. However, some people have suffered severe psychological trauma. Today the Government moved to clear up the ambiguity over the sale of magic mushrooms and agreed at the Cabinet meeting to ban them. The Minister for Health, Mary Harney, has decided to sign a statutory instrument making them a prohibited substance under the Misuse of Drugs Act. The decision has been welcomed by anti-drugs campaigners. However, it has also been criticised by those who claim prohibition does not work and that magic mushrooms will still be sold on the black market.